Our mission is to present exhibits and educational programs that will assist in telling the story of Baseball in the Berkshires. From town ball and the Massachusetts Game to T-ball, Little League, Cal Ripken Baseball, Babe Ruth Baseball, American Legion Baseball, High School Baseball, Collegian Baseball, Adult League Baseball, Wahconah Park Baseball, Minor League Baseball and Major League Baseball, the history and culture of baseball are entwined in the towns and families from Sheffield and Ashley Falls to North Adams and Williamstown. 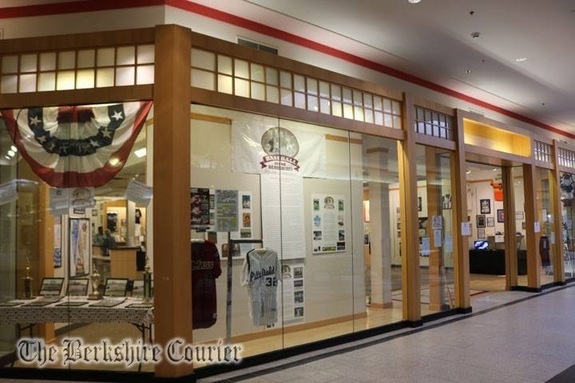 Through our historical displays featuring artifacts and stories that originated from the County's residents and visitors, the history of Baseball in the Berkshires will be told and how it contributed to the famed history of Baseball in America. Baseball is truly America's Game and here in the Berkshires baseball has some roots and some very strong branches. Frank Grant and Jack Chesbro are our Hall of Famers, but they are not our only Berkshire Diamonds. From the Broken Window by-law of 1791 to the first collegiate game in 1859 between Amherst and Williams, from the teams: the Old Elms, the Pittsfields, Hillies, Electrics and the infamous Pittsfield Indians, Phillies, Red Sox, Senators, Rangers, Cubs, Mets, Astros, the Berkshire Bears and of course, the Colonials, the Berkshires have a long and colorful baseball history. No matter what decade you look at baseball has always had a great following. Now in telling that history we call upon our residents and visitors to help bring that story to life.